Hey there, we are Paul and Vlad from Romania. 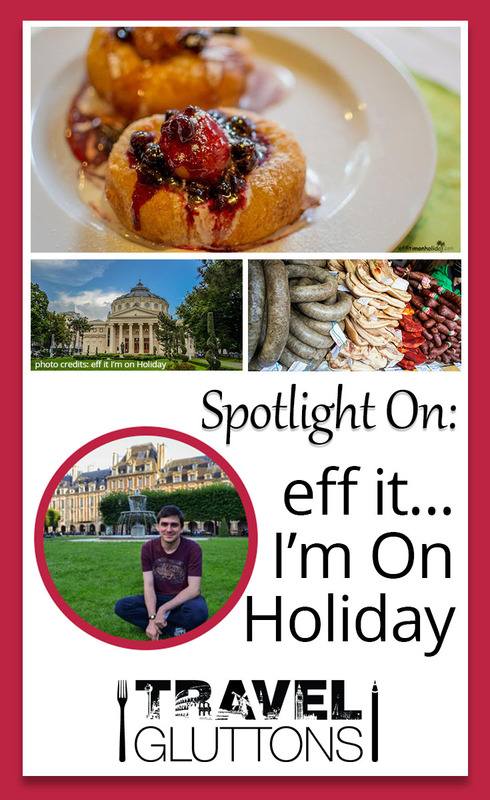 Vlad is the creator of Eff It, I’m On Holiday, while I, Paul, am the foodie expert. We both have full time jobs, but travel isn’t just a part-time hobby for us, it’s our passion. We’re always thinking about new places to discover, people to meet and foods to sample. The last one is mostly me though. 2. 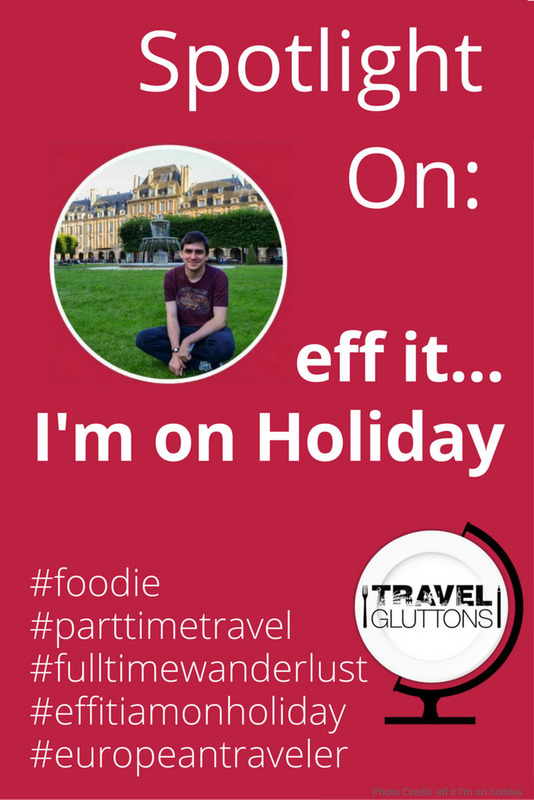 What is your site ‘Eff It, I’m On Holiday’ about? Eff It, I’m On Holiday is about enjoying every single moment of travel, without worrying about the daily struggles, the tasks you left behind at work or the bills you forgot to pay. We believe traveling is what you make it to be, it can be freedom, adventure, trying out new things, new dishes, spending a weekend in a place you’ve been dying to visit or return to, and making the most of it, not caring if you get lost or if it’s raining and you’re soaking wet because you’re in your favorite city in the world. We aim to inspire people to travel more often, even if they have a full time job, by writing about beautiful places we visit and the delicious food we eat along the way. You can find us on Blogovin, Facebook, Instagram, Pinterest and Twitter. 3. 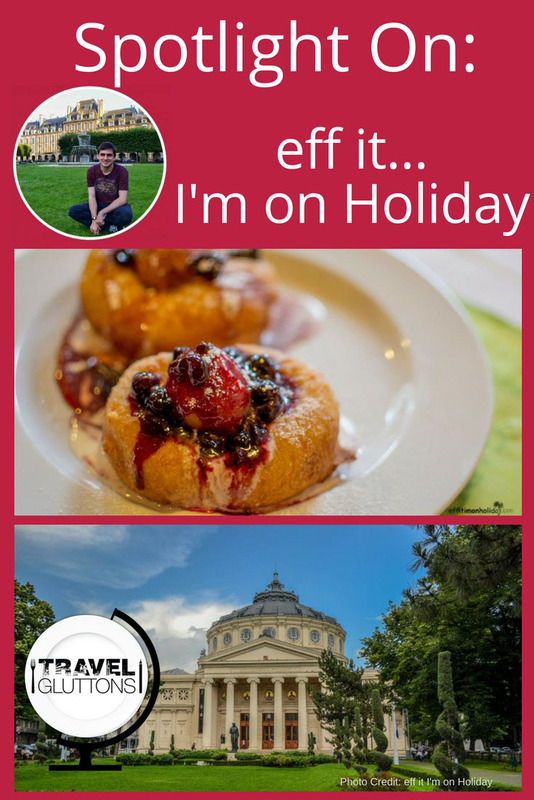 What is one food tip you would give about Bucharest in Romania? Bucharest has so many options when it comes to restaurants and cuisines, but trying traditional Romanian dishes is a must. Besides traditional restaurants, there are local fairs where you can buy home-made products directly from local manufacturers. 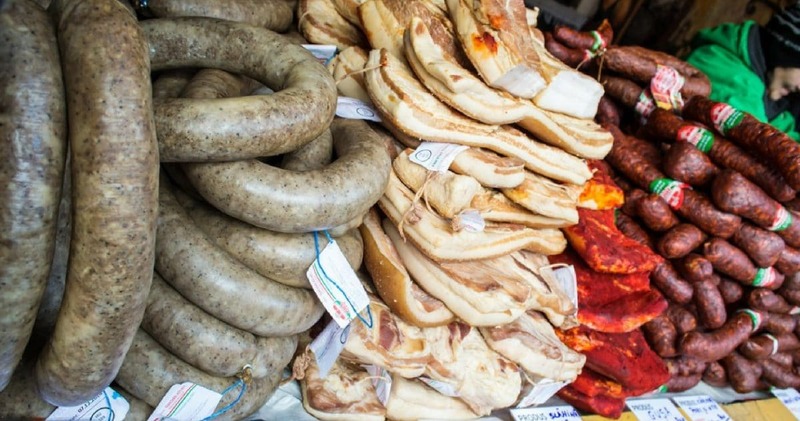 This way you can try authentic Romanian foods from different parts of the country without even leaving the city. 4. 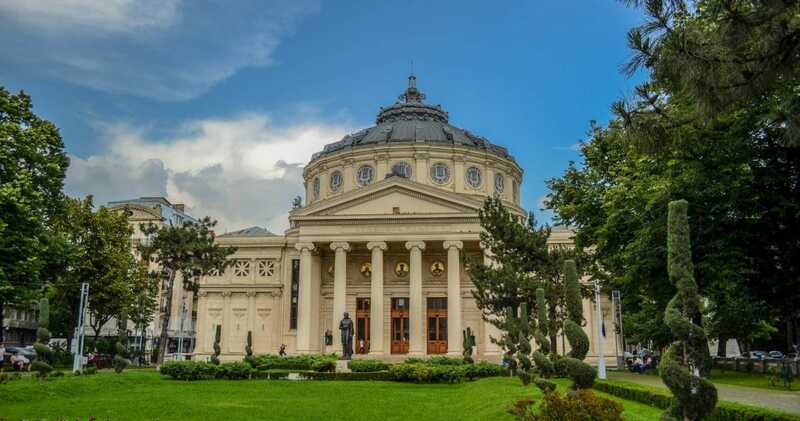 What is one travel tip you would give about Bucharest in Romania? 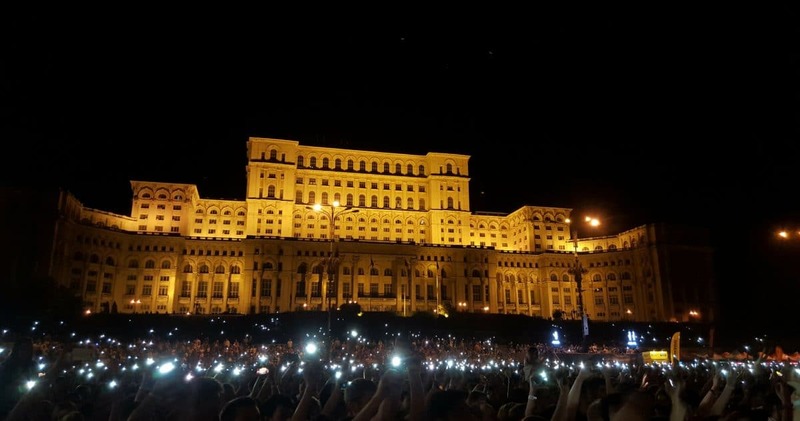 A must see when visiting Bucharest is the Parliament Building, which is the second largest administrative building in the world, after the Pentagon, a symbol of Bucharest, but also a reminder of the communist era. It has 9 floors above ground and 9 floors below ground and for its construction a million cubic meters of marble were used. The rooms are all grandiose and they surely impress the visitors. The Parliament can be visited daily but you need to reserve your spot beforehand. 5. 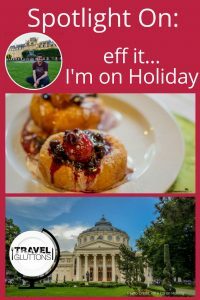 What is the best thing to eat in Bucharest in Romania? The best thing to eat in Bucharest is a dish called mici. It is a traditional dish made of ground meat (usually a mixture of different types of meat), garlic, pepper, and different herbs. This dish is normally served with fries, mustard, pickles and bread. 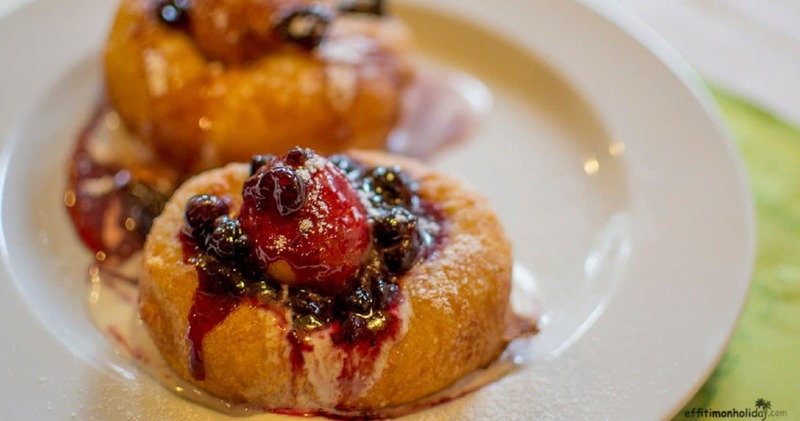 My favorite desert is papanasi, which is a fried pastry served with jam (usually sour cherries or strawberry) and sour cream. Actually, words won’t make justice for how great this desert is. There are a lot of places where you can try it, but the best one is at Caru’ Cu Bere, an authentic Romanian restaurant in the Old Town of Bucharest. 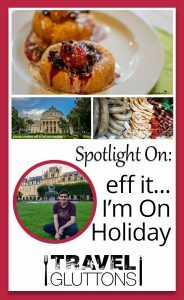 One Response to "Spotlight On: Eff It, I’m on Holiday"